January and February are my least favourite months of the year. It's cold, it's usually wet and the balmy Summer months seem a long way off! But today was bright and most importantly dry so we decided to visit our local country park which is just a 10 minute stroll from our house. We are so lucky to have this right on our doorstep! 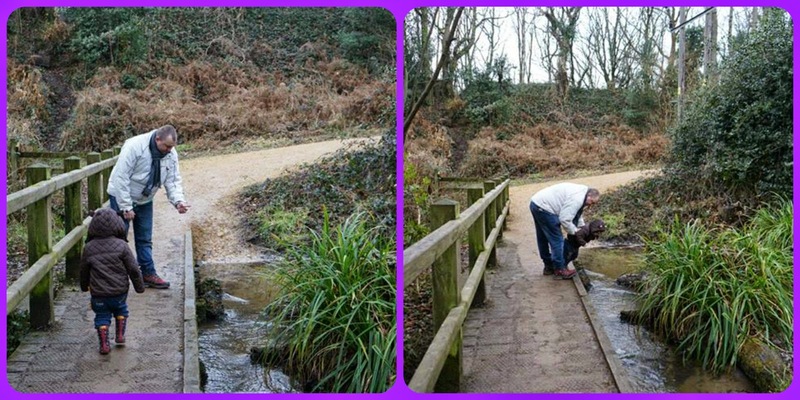 Elliot had his first experience of "Pooh sticks" and he was fascinated watching the stick travelling down the stream. We had to keep a close eye on him though, he would have been in the water given half the chance! We were all wrapped up in our winter coats and scarves but actually when the sun came out it was really warm. 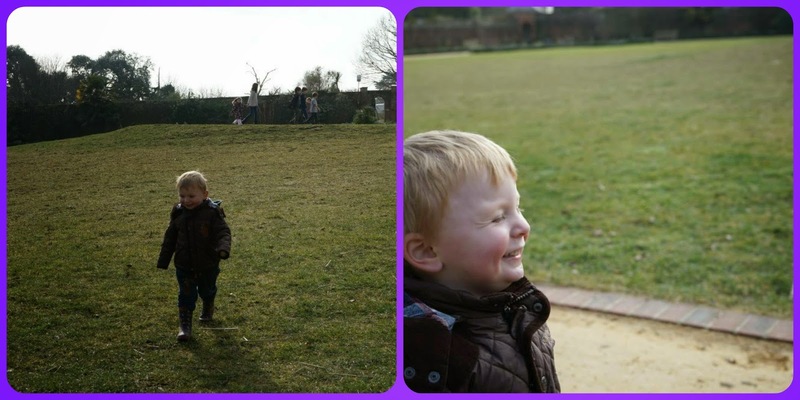 We let Elliot run off and play in the Walled Garden whilst we sat in the sunshine and it felt more like May! We even sat outside and had our lunch which was nice. And quite unusual for February! 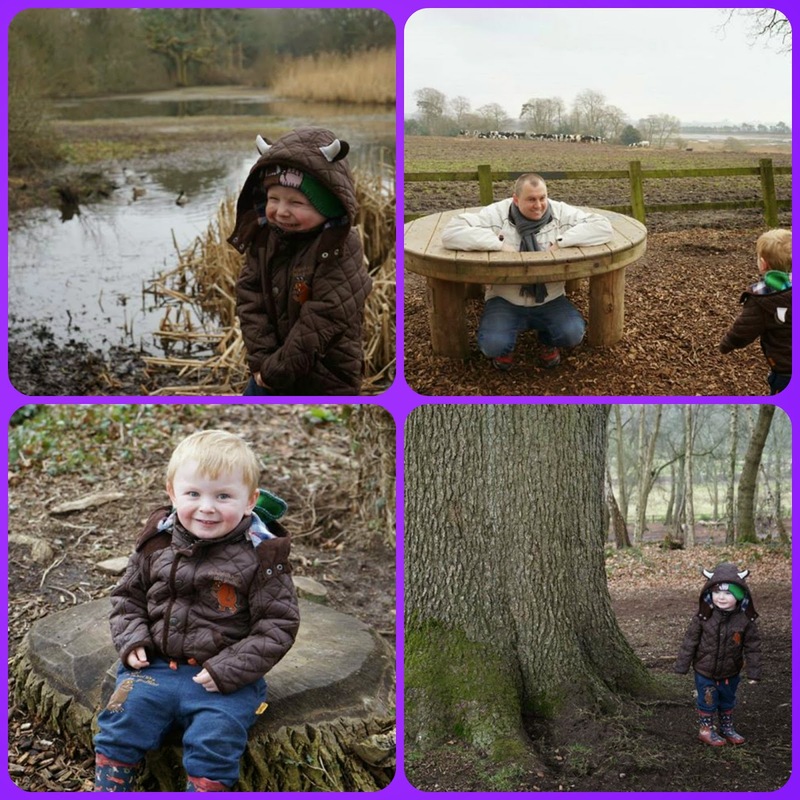 Upton Country Park has over 100 acres of parkland and woodland so we had plenty of space to stretch our legs and for Elliot to explore! We followed the Woodland Play Trail which has lots of things to climb and jump on and excellent views across the bay to Poole. And most importantly we found lots of muddy puddles for a certain little Peppa fan to jump in....lets just say his trousers went straight into the washing bin when we got home! It was lovely to have such a sunny February day - it really does feel like Spring is on it's way! Did you manage to get out and enjoy the sunshine today? How Not to Bake Cakes! Trendy Tot Thursday - sponsored by The Gruffalo!